Perhaps no player in the long history of the Chicago Cubs made a better first impression than Anthony Rizzo: in his first five games after being called up in 2012 he hit three game winning RBI – welcome to the big leagues! Rizzo finished the season with a .285 average and 15 home runs, marking him as the most promising Cubs prospect to come along in more than a decade. 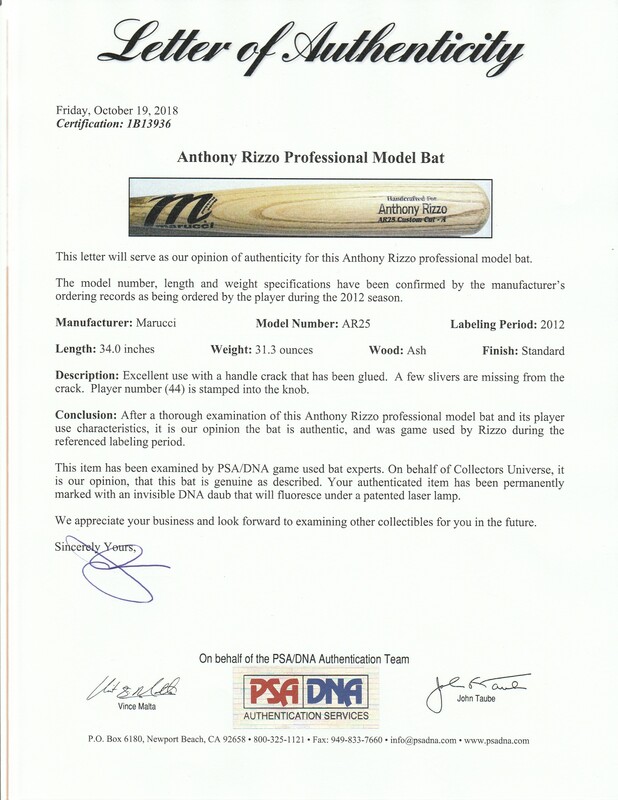 Rizzo used this Marucci AR25 model bat during the 2012 season. 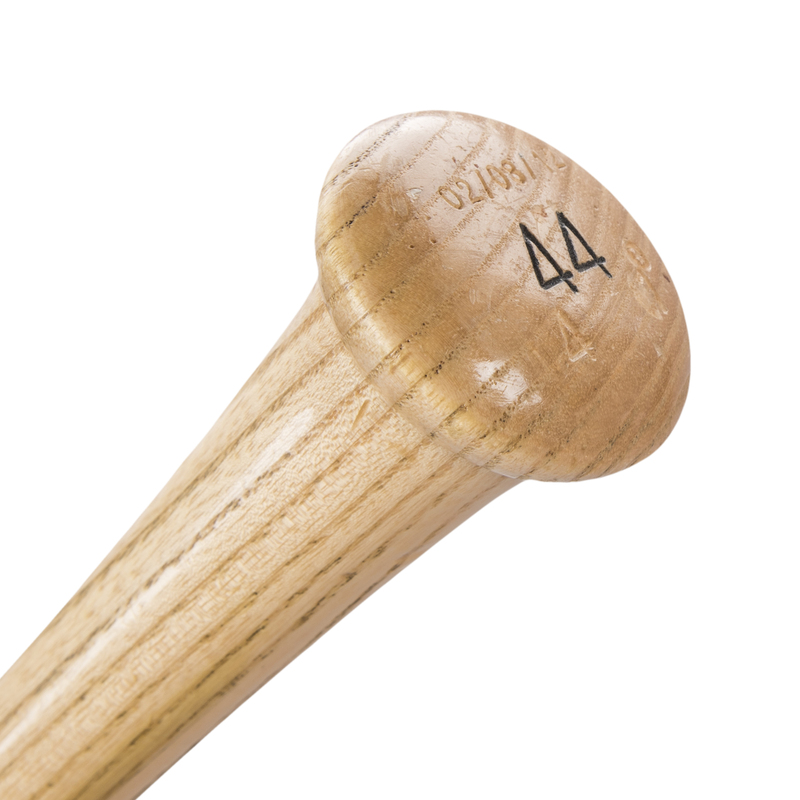 This bat displays excellent game use and has a crack on the handle that has been glued, with a few slivers missing from that crack. There are ball marks, stitch impressions and blue ink transfers present on the barrel. There is a coating of pine tar on the lower barrel/upper handle area. 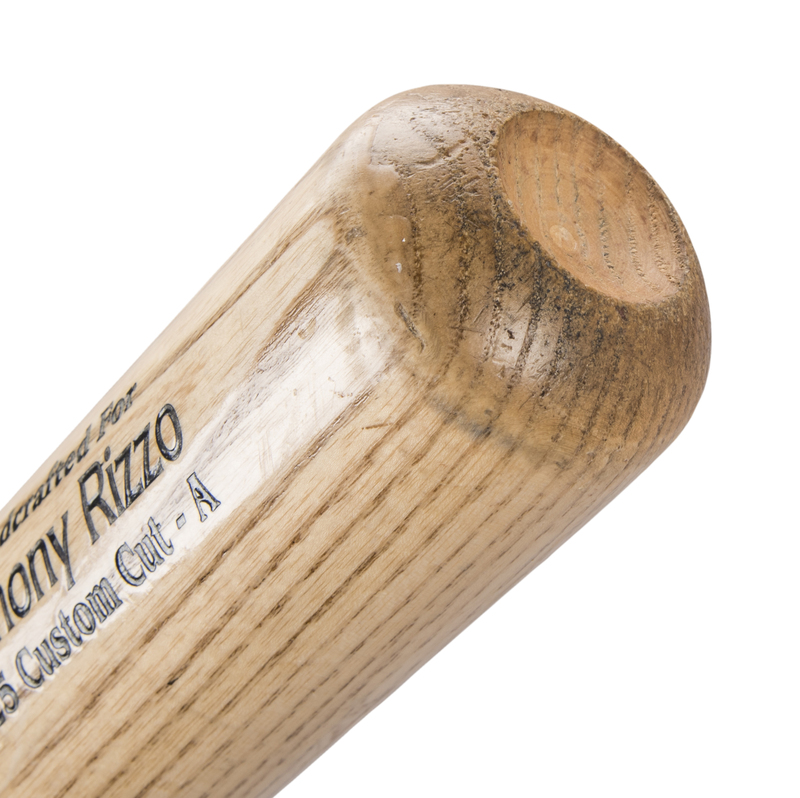 Rizzo’s number “44” is stamped in black on the knob and the date of manufacture “02/08/12” is also stamped on the knob. This bat comes with a LOA from PSA/DNA (1B13936) for the game use.